(A) Information a Teacher or Parent Gives Us. We collect personal information you provide to us, which may include personal information of your students if you provide us with such information. By providing us with personal information about your students, you are representing to us that you have all necessary authority or consent to provide us with such information. For example, in connection with your use of the Services, you may provide us your name, email address, username, password, and other information, including demographic information and information about your classroom, your school, and your students. We also collect writing by teachers, including but not limited to comments, feedback and questions that teachers provide to students using the Services. For more information about how your personal information is shared, please see the section of this Policy titled "Sharing of Personal Information" below. (B) Information a Student Gives Us. We collect any personal information a student directly provides to us through use of the Services, including a student's name, classroom affiliation, username, and password. We also collect information about how a student interacts with the Services, including the texts that a student chooses to read, responses a student provides to questions or interactive exercises, how and how often a student improves their writing based on our feedback, and other performance related information. We also collect writing by students in many forms, including but not limited to their answers to quiz questions, journal activity questions, and review questions. We may also collect information about a student provided by a school. (C) Information about You and Your Student that Your School Gives Us. We collect personal information about you and/or your student that your school, school district and/or their administrators choose to provide to and share with us, directly and through third party service providers. (D) Information Automatically Collected from You and Your Student. We and our third party service providers may automatically collect information about you and your student's computer or mobile device when you or your student visit our Site or access our App, including by using certain technologies that are further described below (collectively, "Tracking Tools"). Some of the information that may be collected when a user uses the Services, include, for example, computer or device operating system type, IP address, browser type, browser language, mobile device ID, device hardware type, the website or application visited or used before or after accessing our Services, the parts of the Services accessed, length of time spent on a page or using a feature, access times for a webpage or feature, and demographic information, such as gender and age range. 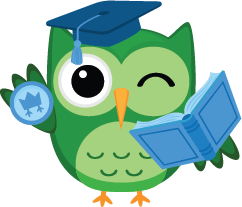 These Tracking Tools help Whooo's Reading learn more about our users, such as their demographics and internet behaviors, so that we can improve our Services. (B) Unique Identifiers. We may use unique identifiers to track individual usage behavior on our Services, such as length of time spent on a particular page and pages viewed during a particular log-in period. The unique identifiers collect information about a user's use of the Services on an individual basis. We use the information that we gather through unique identifiers to evaluate and improve the Services and its content, including, but not limited to, improving and evaluating the effectiveness of certain materials on our Services and the student and teacher experience while using the Services. (C) Web Beacons. Web beacons, or clear GIFs or pixel tags, are small graphic image files that can be embedded in web pages or emails to collect information about a user's use of our Services or the correspondences that we send to them. The information collected by web beacons allows us to analyze how and how many people are using the Services or when users open our emails. Web beacons also allow us to enhance our Behavioral Advertising, which is further discussed below in the section titled "Interest-based and Behavioral Advertising". (E) Mobile Device Identifiers. Mobile device identifiers are identifiers stored on your mobile device that may track your mobile device and data and activities occurring on or through it, as well as the applications installed on it. Mobile device identifiers enable collection of personal information (such as media access controls) as well as non-personally identifiable information (such as usage and traffic data). As with other Tracking Tools, mobile device identifiers help Whooo's Reading learn more about our users' demographics and internet behaviors and operate and improve the Services. i. provide and deliver products and services that you request. f. in connection with or during negotiation of any merger, financing, acquisition, bankruptcy, dissolution, transaction or proceeding involving sale, transfer, divestiture, or disclosure of all or a portion of our business or assets to another company, in which case the company receiving the personal information would be obligated to follow this Policy. We will not disclose your or your student's personal information to any third party for that third party's own marketing purposes. Additionally, we will not knowingly use or disclose student information (whether personal information or otherwise) for behavioral targeting of advertisements to such students. We do not sell student personal information. For clarity, we may make recommendations within or through the Services of features, tools, and content on the Services to students based on their demographic information or activities on our Services. For example, we may suggest a text to a student based on the student having read a similar text in the past, or based on the student's grade level or academic level. (A) General. We may advertise to teachers and administrators using a type of advertising known as interest-based or online behavioral advertising ("Behavioral Advertising"). Behavioral Advertising is the use of Tracking Tools by us or our Advertising Service Providers (defined below) to display Whooo's Reading ads on other websites or services based on information about a user's use of the Services or on the user's interests (as inferred from the user's online activity). 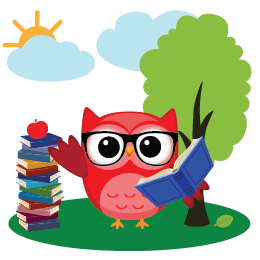 For clarity, Whooo's Reading's Behavioral Advertising is intended for teachers and administrators; we do not behaviorally target advertising to student users on sites that are directed to student users. Whooo's Reading adheres to the Digital Advertising Alliance Self-Regulatory Principles for Online Behavioral Advertising ("OBA Principles"). More information about the OBA Principles can be found at http://digitaladvertisingalliance.org/blog-terms/daa-principles. (B) Advertising Service Providers. We may work with third parties that use Tracking Tools to collect and use information about your access and use of the Services and non-affiliated websites and applications in order to provide Behavioral Advertising and related services to you and us ("Advertising Service Providers"), for example by facilitating targeting of advertisements and measuring and analyzing advertising effectiveness and traffic on the Services, (collectively, all such services, "Targeting Services"). Advertising Service Providers include advertising networks, data exchanges, traffic measurement service providers, marketing analytics service providers, and other third-party service providers. Targeting Services enable us to display advertisements based on your use of the Services and other websites or applications you have visited, including for Whooo's Reading content, products or services that may interest you. Targeting Services can also help prevent you from seeing repeated advertisements and enable us to research the usefulness of certain advertisements. Our Advertising Service Providers do not have access to Tracking Tools set by us or on our Services except to the extent necessary to provide services to Whooo's Reading. (C) Opting Out of Behavioral Advertising. You can opt-out of certain Behavioral Advertising activities by doing one or more of the following. Please note that you will need to opt-out on each browser and device for which you desire to apply these opt-out features. ii. Industry Opt Out Tools: Some Advertising Service Providers may participate in the Network Advertising Initiative's (NAI) Opt-Out Tool (http://www.networkadvertising.org/choices/) and/or the Digital Advertising Alliance (DAA) Consumer Choice Page (http://www.aboutads.info/choices/), and therefore you can opt-out of certain services by those Advertising Service Providers (and other NAI or DAA member companies) by visiting the links included here. Please click on the links to these tools to learn more about your choices. iii. Web Browser Controls: You can prevent the use of certain Tracking Tools on a device-by-device basis by using the controls in your web browser. These controls can be found in the Tools > Internet Options menu for your browser, or as otherwise directed by your browser's support feature. Through your web browser, you may be able to: (a) delete existing Tracking Tools; (b) disable future Tracking Tools; and/or (c) set your browser to provide you with a warning each time a cookie or certain other Tracking Tools are being set. iv. Mobile Opt Out: Your mobile devices may offer settings that enable you to make choices about the collection, use, or transfer of mobile app information for Behavioral Advertising. You may also opt-out of certain Tracking Tools on mobile devices by installing the DAA's AppChoice app on your mobile device (for iTunes, visit https://itunes.apple.com/us/app/appchoices/id894822870?mt=8, for Android, visit https://play.google.com/store/apps/details?id=com.DAA.appchoices&hl=en). For more information, please visit http://support.apple.com/kb/HT4228, or https://support.google.com/ads/answer/2662922?hl=en and http://www.applicationprivacy.org/expressing-your-behavioral-advertising-choices-on-a-mobile-device, as applicable. i. Some opt-out features are cookie-based, meaning that when you use these opt-out features, an "opt-out" cookie will be placed on your computer, tablet or mobile device indicating that you do not want to receive Behavioral Advertising from certain companies. If you delete your cookies, use a different browser, use a different device, or buy a new computer or mobile device, you will need to renew your opt-out choice. ii. Opting-out of, deleting, rejecting, disabling or turning off Tracking Tools does not mean that you will no longer receive online ads. Opting-out of Behavioral Advertising only means that such ads will no longer be tailored to your specific viewing habits or interests, but you may continue to see ads on and about the Services. (D) How We Respond to Do Not Track Signals. We do not currently respond to "do not track" signals or other mechanisms that might enable consumers to opt-out of tracking on our Services. (A) Promotional Emails. You may "opt-out" of receiving our promotional emails by following the instructions in those emails. If you opt-out, we may still send you non-marketing emails. Non-marketing emails include emails about your accounts and our transactions with you. (B) Information in the Services. You may change some of your or your student's personal information stored in the Services by following the directions on the Site or App. You may send requests about your or your student's personal information, including requests to change your or your student's contact preferences and update or correct your or your student's personal information, to our contact information below. In some cases, changes about a student's personal information may have to be executed by the student's school or teacher, and in such situations, we will attempt to assist you and the school or teacher with such efforts. (C) Behavioral Advertising and Tracking Tools. You can opt-out of certain mechanisms for tracking, including tracking of your online activities over time and across different websites, by using one or more of the options described above in the "Interest-Based and Behavioral Advertising" section of this Policy. (D) Disclosure. You may prohibit us from disclosing your or your student's personal information with a third party by contacting us at the information provided below to opt-out of such disclosures in advance; provided that if you prohibit us from sharing your or your student's personal information with your or your student's school or our third party service providers, we may not be able to provide the Services to you or your student. Additionally, you cannot prohibit us from sharing your or your student's personal information when reasonably necessary to defend the rights or property of us, including our Services, or anyone else or as reasonably necessary to comply with relevant laws or respond to a legal request. (E) Review. You may review your or your student's personal information by logging into your or your student's account or by sending us an email or postal mail at the address below. (F) Retention. We will retain your or your student's personal information, including after the school term in which you or your student uses the Services, for only as long as is reasonably necessary to fulfill the purpose for which the information was collected. Generally, Whooo's Reading will delete a user's personal information 4 years after the user's last login to the Services. (G) Deletion. You may request deletion of your or your student's personal information by sending us an email or postal mail at the address below. IN SUCH CASE, WE WILL NO LONGER ALLOW THE APPLICABLE USER TO USE THE SERVICES. We will delete your or your student's information using reasonable measures to protect against unauthorized access to, or use of, the information in connection with its deletion. When we delete a user's personal information, it will be deleted from our active databases but we may retain an archived copy of such user's records as required by law or for legitimate business purposes. (H) Refusing Further Collection or Use. You may at any time refuse to permit our further use or future online collection of your or your student's personal information, by terminating your or your student's account and directing us to delete your or your student's personal information (as described above). IN EITHER CASE, WE WILL NO LONGER ALLOW THE APPLICABLE USER TO USE THE SERVICES. We will not have any liability whatsoever for any termination of the account or related deletion of your or your student's personal information. After termination, a terminated user will not be able to use his or her account anymore. Access to schoolwork associated with the account will no longer be available to such user. (I) Reliance on Teacher or Parental Instructions. We may, and you authorize us to, rely on the instructions that we reasonably believe are given by a teacher, parent or legal guardian in connection with a student. For example, if a person calls our customer support number and provides the account information we request, we may assume that the person calling is the teacher, parent, or legal guardian of such student. We will not be held liable for any disclosure made in good faith and following reasonable procedures in responding to a request for disclosure of a student's information from such individual. (J) Third Parties. Different rules might apply to the collection, use, or disclosure of your information by third parties in connection with their advertisements, promotions and other websites you encounter on the Internet. The use of such technology by these third parties, and their policies and practices regarding your information and their sites and services, is within their control and not Whooo's Reading's. Those parties may use the information they collect from you consistent with their own privacy policies, which we encourage you to carefully review. We welcome your comments or questions about this Policy. Feel free to email us at privacy@whooosreading.org. You may also contact us at our address: 1228 University Avenue, Suite 200, San Diego, CA 92103. We may change this Policy from time to time. If we make any changes to this Policy, we will change the Last Updated date above. If we make material changes to this Policy, we will send a notice to the email address we have on file for the account holder. For material changes regarding use or collection of data, we will provide choices and additional information regarding the collection of such data before it is used in any manner inconsistent with the terms initially provided to users. You are responsible at all times for providing to us your most current email address. Except as otherwise provided in this Policy, any changes to this Policy will be effective immediately for new users of the Site, App, and Services. (A) Information Your Child Gives Us. We collect any personal information your Child provides to us, including your Child's name, classroom affiliation, username, and password. We also collect information about how your Child interacts with the Services, including the texts that a student chooses to read, responses a student provides to questions or interactive exercises, how and how often a student improves their writing based on our feedback, and other performance related information. We also collect writing by students in many forms, including but not limited to their answers to quiz questions, journal activity questions, and review questions. We may also collect information about your Child provided by your school. (B) Information about Your Child that Your Child's School Gives Us. We collect personal information about your Child that your Child's school, school district, and/or their administrators choose to provide to and share with us, directly and through third party service providers. (C) Information Automatically Collected from Your Child. We automatically collect information about your Child's computer or mobile device when your Child visits our Site or uses our App by using the technologies described below (collectively, "Tracking Tools"). Some of the information that may be collected when a user uses the Services, include, for example, computer or device operating system type, IP address, browser type, browser language, mobile device ID, device hardware type, the website or application visited or used before or after accessing our Services, the parts of the Services accessed, length of time spent on a page or using a feature, access times for a webpage or feature, and demographic information, such as gender and age range. These Tracking Tools help Whooo's Reading learn more about our users, such as their demographics and internet behaviors, so that we can improve our Services. For clarity, our third party business partners do not have access to Tracking Tools set by Whooo's Reading or on our Services except to the extent necessary to provide services to the Services. (B) Unique Identifiers. We may use unique identifiers to track individual usage behavior on our Services, such as length of time spent on a particular page and pages viewed during a particular log-in period. The unique identifiers collect information about a Child's use of the Services on an individual basis. We use the information that we gather through unique identifiers to evaluate and improve the Services and its content, including, but not limited to, the effectiveness of certain materials on our Services and a Child's experience while using the Services. (D) Web Beacons. Web beacons, or clear GIFs or pixel tags, are small graphic image files that can be embedded in web pages to collect information about a Child's use of our Services. The information collected by web beacons allows us to analyze use of the Services, such as how and how many people are using the Services. (E) Mobile Device Identifiers. Mobile device identifiers are identifiers stored on a mobile device that may track a Child's mobile device, and data and activities occurring on and through it, as well as the applications installed on it. Mobile device identifiers enable collection of personal information (such as media access controls) as well as non-personally identifiable information (such as usage and traffic data). 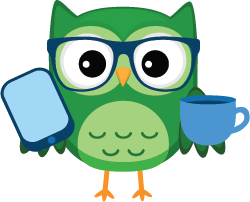 As with other Tracking Tools, mobile device identifiers help Whooo's Reading learn more about our users' demographics and internet behaviors and operate and improve the Services. (F) How We Respond to Do Not Track Signals. We do not currently respond to "do not track" signals or other mechanisms that might enable consumers to opt-out of tracking on our Services. i. provide services that your Child requests. g. in connection with or during negotiation of any merger, financing, acquisition, bankruptcy, dissolution, transaction or proceeding involving sale, transfer, divestiture or disclosure of all or a portion of our business or assets to another company, in which case the company receiving the personal information would be obligated to follow this Children's Policy. We require our third party service providers not to use your Child's personal information other than to provide the services that we have requested. We will not disclose your Child's personal information to any third party for that third party's own marketing purposes. Additionally, we will not knowingly use or disclose your Child's information (whether personal information or otherwise) for behavioral targeting of advertisements to your Child. We do not sell Children's personal information. For clarity, we may make recommendations within or through the Services of features, tools, and content on the Services to students, including Children, based on their demographic information or activities on our Services. For example, we may suggest a text to a student based on a previous text the student has read or based on the student's grade level or academic level. (A) Information in the Services. You may change some of your or your student's personal information stored in the Services by following the directions on the Site or App. You may send requests about your or your student's personal information, including requests to change your or your student's contact preferences and update or correct your or your student's personal information, to our contact information below. In some cases, changes about a student's personal information may have to be executed by the student's school or teacher, and in such situations, we will attempt to assist you and the school or teacher with such efforts. (C) Disclosure. You may prohibit us from disclosing your Child's personal information with a third party by contacting us at the information provided below to opt-out of such disclosures in advance; provided that if you prohibit us from sharing your Child's personal information with your Child's school or our third party service providers, we may not be able to provide the Services to your Child. Additionally, you cannot prohibit us from sharing your Child's personal information when reasonably necessary to defend the rights or property of us, including our Services, or anyone else or as reasonably necessary to comply with relevant laws or respond to a legal request. (D) Review. You may review your Child's personal information by logging into your Child's account or by sending us an email or postal mail at the address below. (E) Retention. We will retain your Child's personal information, including after the school term in which your Child uses the Services, for only as long as is reasonably necessary to fulfill the purpose for which the information was collected. Generally, Whooo's Reading will delete a Child's personal information 4 years after the Child's last login to the Services. (F) Deletion. You may request deletion of your Child's personal information by sending us an email or postal mail at the address below. IN SUCH CASE, WE WILL NO LONGER ALLOW YOUR CHILD TO USE THE SERVICES. We will delete your Child's information using reasonable measures to protect against unauthorized access to, or use of, the information in connection with its deletion. When we delete a Child's personal information, it will be deleted from our active databases but we may retain an archived copy of your records as required by law or for legitimate business purposes. (G) Refusing Further Collection or Use. You may at any time refuse to permit our further use or future online collection of your Child's personal information, by terminating your Child's account and directing us to delete your Child's personal information (as described above). IN EITHER CASE, WE WILL NO LONGER ALLOW YOUR CHILD TO USE THE SERVICES. We will not have any liability whatsoever for any termination of the account or related deletion of the Child's personal information. After termination, your Child will not be able to use his or her account anymore. Access to schoolwork associated with the account will no longer be available to your Child. (H) Reliance on Parental Instructions. We may, and you authorize us to, rely on the instructions that we reasonably believe are given by you as a parent of your Child. For example, if a person calls our customer support number and provides the account information we request, we may assume that the person calling is the Child's parent. We will not be held liable for any disclosure made in good faith and following reasonable procedures in responding to a request for disclosure of a Child's personal information from such individual. (I) Emails. You may "opt-out" of receiving our promotional emails by following the instructions in those emails. If you opt-out, we may still send you non-marketing emails. Non-marketing emails include emails about your Child's accounts and our business dealings with you and/or your Child. You may change some of your Child's personal information stored in the Services by following the directions on the Site or App. You may send requests about your Child's personal information, including requests to change your Child's contact preferences and update or correct your Child's personal information, to our contact information below. In some cases, changes about your Child's personal information may have to be executed by your Child's school or teacher, and in such situations, we will attempt to assist you and the school or teacher with such efforts. (J) Third Parties. Please be aware that different rules might apply to the collection, use or disclosure of your Child's information by third parties in connection with their advertisements, promotions and other websites you encounter on the Internet. The use of such technology by these third parties, and their policies and practices regarding your information and their sites and services, is within their control and not Whooo's Reading's. Those parties may use the information they collect from your Child consistent with their own privacy policies, which we encourage you to carefully review. We welcome your comments or questions about this Children's Policy. Feel free to email us at privacy@whooosreading.org. You may also contact us at our address: 1228 University Avenue, Suite 200, San Diego, CA 92103. We may change this Children's Policy from time to time. If we make any changes to this Children's Policy, we will change the Last Updated date above. If we make material changes to this Children's Policy, we send a notice to the email address we have on file for the account holder, which may include your Child's teacher. For material changes regarding use or collection of data, we will provide choices and additional information regarding the collection of such data before it is used in any manner inconsistent with the terms initially provided to users. You are responsible at all times for providing to us your most current email address. Except as otherwise provided in this Children's Policy, any changes to this Children's Policy will be effective immediately for new users of the Services.